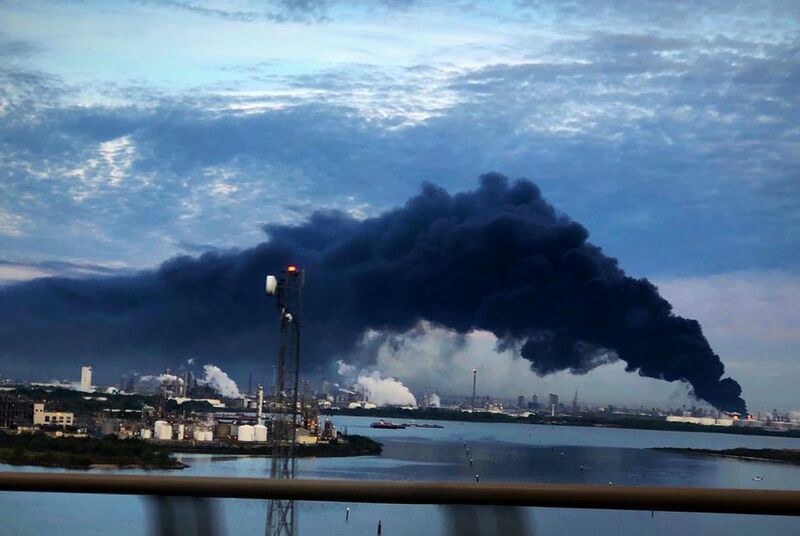 Late Friday, the state of Texas sued Intercontinental Terminals — the Houston-based company whose petrochemical storage facility in the suburb of Deer Park caught fire last weekend and burned for days, sending a dramatic plume of black smoke over the nation’s fourth-largest city. The lawsuit, filed in state district court on behalf of the Texas Commission on Environmental Quality, alleges that air pollution released during the fire is a violation of the Texas Clean Air Act. Were you able to read that statement with a straight face? Then read this. The TCEQ, the agency responsible for protecting the state’s environment and public health, has been criticized for letting large corporate polluters off with a slap on the wrist. An analysis of its enforcement record by an environmental nonprofit found that the agency imposed penalties on violators in just 3 percent of cases. ITC appears to have benefitted from the lax enforcement. In 2016, for instance, the company released more than 1,500 pounds of benzene — a carcinogenic chemical — for over five days and failed to notify the state agency within the mandated 24-hour deadline. The fine: roughly $4,000. I’m just saying. Maybe some day when there aren’t new fires breaking out every time an old fire gets put out, we can get to the bottom of what happened here. And then sue these assholes out of existence. More broadly, maybe we can demand that our state take enforcement of environmental regulations seriously. If they had done so before, maybe we wouldn’t be in this position now. The Chron has more. The Lady Bird Johnson Wildflower Center of The University of Texas at Austin has been selected by the Texas A&M Forest Service (TFS) to serve as the local grower of loblolly pines to restore wildfire-damaged Bastrop County. The 2011 Bastrop County Complex fire destroyed 1,691 homes while burning 33,000 acres that gave the area its picturesque landscape. Already, the Wildflower Center has worked with a university graduate student to provide 35,000 loblolly pines that are being given this winter to county residents. The center will now expand its growing operation as one of three contractors with TFS to produce up to 6 million trees total by 2017 for the Lost Pines region. The tree growers will use seeds the TFS collected from Lost Pines loblollies years ago, with future TFS contracts expected to continue the program through 2017. “The Lost Pines is such a unique area ecologically, and the trees there are more drought-tolerant than loblolly pines in East Texas, so we are thrilled to have this seed source to work with,” said Dr. Waitt, who is also the center’s senior botanist. Sure is a good thing they saved those seeds, isn’t it? What would have been worse than the drought and the wildfires in Central Texas that wiped out millions of trees? Not having the wherewithal to properly reforest afterward. Thankfully, that didn’t happen, but it was a closer call than you’d have thought. The Texas A&M Forest Service was making plans to dump more than a half-ton of loblolly pine seeds into a landfill when the most destructive wildfire in state history began its deadly march through the Lost Pines in Bastrop County last year. Now the seeds will be used in a massive, multiyear effort to restore the fabled forest, the westernmost stand of loblolly pines in the United States. The fire burned so hot that it claimed not only 50 square miles of pines but also their seeds, making it impossible for the trees to return without help. To restore the Lost Pines, the Texas Parks and Wildlife Department and state forest service intend to plant more than 4 million trees on public and private land during the next five years. The Arbor Day Foundation is trying to raise $4 million, or $1 per tree, for the recovery effort. The first seedlings, which come from the same genetic stock as the tall pines that carpeted the area before the fire, will arrive Tuesday at Bastrop State Park, about 35 miles east of Austin. Planting is scheduled to begin Saturday. “If you are going to be successful in restoring the forest, you need the right seed source,” said Tom Byram, a geneticist with the Texas A&M Forest Service. Here’s some background from the A&M Forest Service. Apparently, Byram had a large supply of such seeds sitting in a warehouse freezer for five years, where they sat while the forest service tried to find buyers for them. Loblollies aren’t in great demand because they grow slowly, and Byram was beginning to feel guilty about them taking up space. Good thing he didn’t act too quickly on that. See here for more on the Arbor Day Foundation, and go here if you want to make a donation or volunteer your time to help. Replacing the trees lost in the Bastrop fires last summer is going to cost some money, but there’s now a foundation working on raising that money. Flanked by containers bristling with pine tree seedlings, state and local officials on Tuesday announced a campaign to pay for an ambitious five-year plan to restore the Lost Pines after last year’s fires. The Arbor Day Foundation has agreed to lead the fundraising effort and needs to raise about $4 million — or one dollar for every pine tree to be planted over the next five years. The foundation said it has already received more than $600,000 in commitments from companies such as FedEx, Mary Kay and Nokia. Nearly a year ago, the Labor Day fires burned more than 32,000 acres in Bastrop County and destroyed more than 1,700 homes and other structures, making it the most destructive fire in Texas history. A hastily formed group of county, state and federal officials, dubbed the Lost Pines Recovery Team, immediately began working on a plan to restore the burned forest, but they hadn’t made much of a dent in raising the $17 million they had determined was needed for tree planting, erosion control, reseeding native grasses and clearing dead brush and other fuels. The public-private partnership announced Tuesday puts the Arbor Day Foundation in charge of raising money, while the Texas Parks and Wildlife Department and Texas A&M Forest Service will handle planning, volunteers, tree selection and planting. Texas A&M University has pledged to send students to help plant this winter, Chancellor John Sharp said. Go here to learn more about the Arbor Day Foundation, and go here to make a donation or volunteer your time to this effort. I wish them the best of luck with this project. 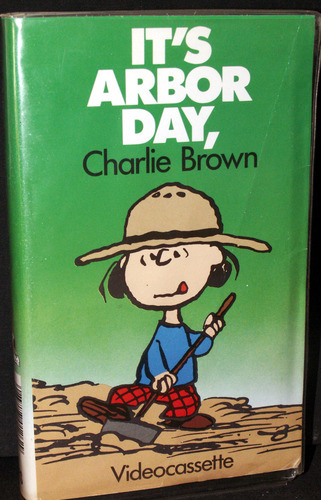 The Arbor Day Foundation blog has more. While one hopes that it won’t be a problem this year, the Harris County Fire Marshall has come up with a plan to protect vulnerable areas from wildfires. Four months ago, Harris County became the most populated county in the state to finalize a Community Wildfire Protection Plan. It identified areas facing the greatest wildfire risk, including Katy, Waller, Cypress Fairbanks, Spring and The Woodlands. Each community is threatened, in part, because they rank “high” for intermixing homes and commercial structures with forests and other wildland vegetation that can become fuel for fires. “More and more, we have bedroom communities moving into the woods and brush for the scenic beauty. They often abut large areas of woods,” said Brad Smith, Texas Forest Service spokesman. This urbanization of areas that were historically farm, ranch or woodlands is putting increasing numbers of homeowners at risk, the protection plan warned. A key factor in fighting any fire is access to water. But the protection plan noted that a pressing problem for developments in once-rural areas can be limited water supplies. “Most water lines into unincorporated housing areas in the county have insufficient capacity to effectively pressure water hydrants for fire suppression,” the report said, noting it would also be cost prohibitive to upgrade those lines and hydrants. The report recommends mapping all potential water sources – from stock ponds to creeks – as well as listing GPS coordinates for all hydrants that can supply water that could be trucked to a fire scene. Here’s the Fire Marshall’s Community Wildfire Protection page, here’s the Executive Summary of the Community Wildfire Protection Plan (CWPP), and here’s the full plan, which is on the CWPP page. Not surprisingly, the areas most at risk are in the farthest north and northwest parts of the county. The Fire Marshall used the Texas Forest Service’s Wildfire Risk Assessment tool, which you can use as well if you want to know what your own personal risk is here. As I am firmly entrenched in the urban core mine is fairly low, but given the concerns last year about Memorial Park going up in flames, I’m not going to get too cocky about that. Take a look and see how you fare. At laboratories throughout the United States—some large enough to contain a three-story house—researchers have been lighting rooms and houses on fire and analyzing the results with the kind of scientific scrutiny that has upended several deeply entrenched misconceptions about how fires behave. The upheaval is more than academic. For generations, arson inspectors have used outmoded theories to help indict and incarcerate many suspects. But as new science is brought to bear on old cases, it is becoming clear that over the past several decades, dozens, perhaps hundreds, of people have been convicted of arson based on scant research and misguided beliefs. Many of those people are still in jail, hoping that someone will take up their cause. “A lot of bad science has been applied to arson investigation,” says John Lentini, a renowned fire expert who has given exculpatory testimony in at least 40 arson cases since 2000. His most recent case, now under review, involves a Massachusetts man convicted of arson by Molotov cocktail, even though not a single glass fragment from the supposed bottle bomb was found at the scene. The good news is that genuine science is starting to be used by fire investigators. The bad news is that it’s a slow process, and there is still much resistance from the old guard and certain political quarters, as we have clearly seen in Texas, though perhaps the closing of the Willingham case, which included an agreement from the Fire Marshall to review old cases where bunk science might have played a role in getting a conviction, will help change that. They’ll have their choice of cases to investigate, as the unfortunate consequence of all this is that there’s a lot of people who have been convicted of deliberately starting what were surely accidental fires. In Massachusetts, the percentage of building fires determined to be arson has dropped from more than 15 percent in the early 1990s to less than 2 percent in 2009. In Texas the proportion of fires labeled incendiary has declined by more than half in the last decade. Nationwide, according to the National Fire Prevention Association, the number of intentional structure fires declined by about 51 percent between 1990 and 2007, the most recent year for which statistics are available—from 111,900 incidents to 54,700. There aren’t fewer fires, there are fewer fires being incorrectly classified as crimes. Even these shrunken numbers are likely too high, and the trend is of no comfort to those wrongly rotting in jail. It’s a real tragedy. This will be grim work. A multiagency environmental response task force will soon issue a report assessing the environmental and ecological damage of the wildfires. “It’s almost complete,” said Roxanne Hernandez, administrator for the county’s Lost Pines Habitat Conservation Plan , who expects the report to be finished by mid-November. The task force is looking into issues of wildlife management, soil, erosion, water quality, reforestation and habitat, she said. The early September wildfire’s initial damage to 35,000 acres is obvious — the pines at Bastrop State Park, for instance, will take 50 years to fully return — but the full scope of the damage is a wait-and-see proposition. What’s really sad is that whatever the report recommends we do to mitigate the damage and hasten the recovery, I don’t have any faith that the state will do. And if federal action is needed, I don’t see Rick Perry generating any sympathy when he asks for it. I fear the damaged areas will just have to fix themselves. The drought gets more expensive for the city of Houston. The drought is about to claim yet more of Houston’s green – this time $4.5 million in tax dollars to remove trees that have died of thirst. Houston’s driest year on record has prompted City Hall to mandate lawn-watering restrictions, hire extra crews to fix water main breaks, ban barbecuing and smoking in city parks and call for park visitors to bring rakes with them to help municipal employees scoop up pine needles and other dead vegetation. The drought’s length and intensity have become so acute the city has to throw unbudgeted money at it. City Council on Wednesday is scheduled to consider a request by the Parks and Recreation Department for $4.5 million to remove 15,000 dead trees from city parks and esplanades, an amount nearly 13 times what the city spends dragging away dead trees in an average year. One presumes they have a lot more dead trees to drag away this year than they would in an average year. This is a lot of money, but then a wildfire in a city park would likely cost a whole lot more. I’ll take the ounce of prevention for $4.5 million, thanks. Hair Balls, which also couldn’t resist the Rush reference, has more. The drought across Texas has lasted nearly 12 months, and it doesn’t seem to be going away any time soon. In fact, La Niña, the intermittent Pacific Ocean phenomenon that caused the drought, is back and strengthening. According to the National Drought Mitigation Center, 88 percent of the state is considered to be in the worst drought stage. School districts are dealing with the extreme weather by changing school procedures — and some have already had to take costly preventative measures or make expensive repairs. All of this happens as schools have already pared down their budgets, shed staff and streamlined operations to absorb the $4 billion in budget cuts enacted by lawmakers during this year’s legislative session. Recently, a grass fire came within two miles of Northside Independent School District’s Langley Elementary School in San Antonio. Pascual Gonzalez, a spokesman for the school district, said Northside ISD has undertaken a major review of its crisis plan as a result of the fires. “The most important issue for us is, how do we get kids out of schools that are immediately threatened?” Gonzalez said. Houston ISD hasn’t been immune to the extreme weather either. Over the past couple months, the district’s Construction and Facility Services has received more than a dozen requests to evaluate school buildings for structural concerns, according to HISD spokesman Patrick Trahan. Some of the recommended repairs have been simple, such as cutting down nearby trees that absorb large amounts of moisture from the soil in order to reduce the chance of foundation movement. It’s all right. I’m sure that between bake sales and passing other costs on to parents, schools won’t have any trouble paying for any of this. They can just follow Rick Perry’s lead and learn how to do more with less. It’s going to take a long time to recover from the fires. The fire burned through the heart of the Lost Pines area, a unique ecological island encompassing some 64,000 acres of loblolly pine, the westernmost stands of the great pine forest originally carpeting the southeastern United States. Incinerated, too, was the largest single tract of remaining habitat of the Houston toad, an endangered amphibian whose survival is tied to the habitat beneath the pine canopy. Much of that Houston toad habitat sat on 6,000-acre Bastrop State Park, one of the oldest, most popular and profitable Texas parks. All but about 100 acres of the tract was consumed by the fire. The park, which opened in 1937, has been “a real diamond in our system,” said Mike Cox, spokesman for Texas Parks and Wildlife Department. It attracts up to a quarter-million visitors a year, placing it in the top 10 most visited sites in the 95-unit state park system, and has been one of only a handful of state parks that generated more visitor revenue than it cost to run. How, when and even if the three recover to anything like their pre-fire status remains uncertain. “The amount of destruction, to humans and the land … I’m stunned and shocked at the scale of it,” said Michael Forstner, a Texas State University biology professor and expert on the Houston toad who has spent time in the burned areas over the past week. “It’s an incredible loss to Texas on many levels. On a personal level, it’s like losing an old friend,” Claire Williams, distinguished scholar at the Forest History Society at Duke University and a former professor of forestry at Texas A&M University, said about the Lost Pines’ forest. Whatever way the forest regenerates – from intense plantings by humans or natural regeneration – it will be many years before the area resembles the Lost Pines that generations of Texans enjoyed and on which generations of Houston toads depended. “It takes 10 to 15 years for a (pine) seedling to begin bearing,” Williams said. It takes 30 years or more for a pine, which can live as long as 300 to 400 years, to reach the size of what most consider a modestly “mature” tree. It’s all very sad. You wish there was something you could do to help, but there isn’t. Whatever healing there is will happen on its own, and on its own schedule. Mayor Annise Parker today signed an executive order extending the City’s temporary burn ban to include smoking in City parks. The smoking ban applies to lighted cigars, cigarettes, pipes or any other device used for the burning of tobacco or other plant material. Mayor Parker last week banned the use of barbecue grills and all other outdoor burning in City parks during the ongoing drought. With the addition of the smoking ban, the City’s policy is now consistent with Harris County’s burn ban. Violations of the mayor’s executive order carry fines of up to $2,000 per offense. The executive order will remain in effect until drought conditions improve. You can see a copy of the executive order here. But look, it’s real simple. Don’t smoke in the parks, OK? I don’t know why anyone needs to be told this, but here you go anyway. Don’t smoke in the parks. We just weren’t willing to pay for it. Long before this month’s historic wildfires in Texas, the state’s forest service came up with a $20.4 million plan to stop the flames from starting or tamp them out before small blazes grew deadly and destructive. Three years later, the plan is still only half-funded — a result of the weak economy, a strained state budget and what one former lawmaker calls a “dereliction of duty” by legislators who almost always prefer to spend money only after a crisis has unfolded. The Forest Service concedes that even the full fire-protection system would not have completely spared Texas from last week’s catastrophic fires, which incinerated more than 1,700 homes, blackened tens of thousands of acres and killed four people. “There’s no way we’ll ever be staffed to handle the worst-case, catastrophic events like you’ve seen recently,” said Robbie DeWitt, chief financial officer of the Forest Service. But the plan was designed to limit exactly those types of widespread losses — and at a fraction of the price of fighting full-blown fires. The cost of the fires this year is currently estimated to be about $250 million. Good thing we were so fiscally responsible in the budget, right? On a tangential note, if you’re tired of reading about droughts and fires, here’s a story about the floods of 1921 in Central Texas to take your mind off of them. It was sent to me by my friend and former history professor, Char Miller. We could use some good hard rains around here, but maybe not quite that much, at least not all at once. Mayor Annise Parker said she is considering banning smoking in the city’s 380 parks because of the fire dangers presented by discarded cigarettes. Parker has already reacted to the record drought with other measures. Last month she restricted lawn watering. Last week she issued a ban on open flames in city parks, outlawing barbecuing on thousands of acres of public land. Parker said a recent fire at Levy Park on Bellaire Boulevard was likely caused by a lit cigarette discarded on a mulch pile. Not to mention that massive fire in George Bush Park, which was thankfully contained fairly quickly and didn’t damage any county property. And of course the danger of an urban wildfire, too. The question is not whether we should do this, it’s why we don’t already ban smoking in the parks. Time for another update to the anti-smoking ordinance, methinks. Hair Balls has more. Mayor Annise Parker, the Houston Parks and Recreation Department (HPARD) and the Houston Fire Department (HFD) announced People Protecting Our Parks, a new campaign that calls on Houstonians to proactively protect the City’s parklands during the ongoing drought. The campaign has two main goals: fire prevention education and the protection of public parklands. The first step in this campaign is the issuance of a temporary ban on all barbeque pits in City of Houston Parks. The temporary ban on barbeque pits will remain in effect until further notice. Signage notifying the public about the ban will be placed in the parks. To allow for a period of public education, warnings will be issued to violators until City Council adopts a permanent enforcement mechanism next week. Portable barbecue pits, charcoal grills and other open-flame cooking devices outside of a building should not be operated on combustible balconies or located within 10 feet of combustible walls or roofs or other combustible materials. When igniting the barbecue charcoal, use a charcoal lighter, not gasoline. Gasoline can flash violently in and around the pit causing serious injuries to anyone in the area of the flash. A fire extinguisher or charged garden hose should be handy while the fire is burning. Check the pit frequently to ensure that it is okay. The City of Houston Fire Code prohibits all open-burning within the Houston city limits at all times. The burn ban in unincorporated areas of Harris County also prohibits any outdoor open-burning, including the burning of: a bonfire, rubbish fire, campfire, trench fire, or other fire in an outdoor location when not contained. Park vehicles so that the exhaust system does not come in contact with dry grass, leaves, or weeds. Adjust the safety chains on trailers to ensure they don’t drag and create sparks that can cause roadside starts. Keep lawn mowers and agricultural equipment in proper working condition and avoid rocks and other materials which might cause a spark. Do not weld or cut without a spotter, a water source and a shovel. Notify the electric power company when dead trees or overhanging limbs endanger the electric wires. The wires may touch each other or the ground, causing sparks that start fires. Another cause of accidental fires is carelessly discarded cigarettes or other smoking materials. They can smolder for hours and should be completely doused with water before being discarded in a safe manner, rather than tossed out a window or on the ground. Texas’ arson law includes felony punishment for anyone whose cigarette recklessly sets fire to a building or injures anyone. Arson is a second-degree felony in Texas, punishable by up to 20 years in prison, but if a person is hurt or killed or if the fire involves a church, arson is a first-degree felony, carrying possible punishment of up to life in prison. We really don’t want there to be a hundred acre wildfire in Memorial Park, so let’s all be careful out there. This drought is unfortunately going to be with us for awhile. That’s exactly what the Republicans did in the budget that came into effect last week. Cash-strapped state lawmakers – led by Gov. Rick Perry’s stand against raising taxes or dipping too deeply into the state rainy day fund – cut appropriations for the Texas Forest Service even as they had to dig for more money to meet its existing expenses. Even the supplemental spending bill they passed this year won’t be enough to cover the expense of fighting fires through Aug. 31, the end of the 2010-11 fiscal period. The Texas Forest Service, the state’s lead agency for fighting wildfires, anticipates it will need another $61 million just to cover those costs. More money also will be needed to cover expenses in the 2012-13 budget period that began Sept. 1, said Senate Finance Committee Chairman Steve Ogden, R-Bryan. The Texas Forest Service was appropriated $117.7 million for the 2010-2011 fiscal period, which ended Aug. 31. It was appropriated $83 million for 2012-13, according to the agency. He and DeWitt said the service’s operating budget was flat. DeWitt said the Forest Service uses a “tiered approach” in fighting wildfires, relying on volunteer and paid fire departments as “the first line of defense.” After that, the Forest Service and other state agencies assist, and then the state brings in federal resources. Perry is of course already whining about federal resources not being fast enough to suit him. These fires are going to cost a ton to fight, and given how long the drought may last, we’re probably going to be doing a lot more paying. Just because you don’t adequately budget for something doesn’t mean the need for it goes away. As for those volunteer fire fighters who are key to dousing these blazes, this wire story from May discusses how the reduction in grant money will affect them. Chris Barron, executive director of the State Firemen’s and Fire Marshals’ Association, said volunteer fire departments rely heavily on grant funding. He said $135 million in requests are backlogged from volunteer fire departments. “That alone should say that the departments out there greatly need the funding,” he told Reuters. “Stuff in the fire service is not cheap,” Barron added. He said many volunteer fire departments already have worn-down equipment and without funding for new equipment, response times will almost certainly increase. I sure hope they have what they need to do this job, and the ones that will surely follow. I have a hard time wrapping my mind around this story about the struggle of suburban fire departments to provide services for residents who don’t want to pay for them. I just don’t understand the mindset. Montgomery County ESD No. 8, which operates Hudson’s fire department, is considering asking voters to approve a 1-cent sales tax in May to help pay for its new station and to hire additional firefighters. It has applied for a federal grant that will pay the salaries of three new firefighters for two to three years. Once the grant dollars run out, the department will have to find a way to carry the cost. The salary for a full-time firefighter ranges from $30,000 to $43,000 in ESDs, about half the pay of a municipal firefighter, and part-time firefighters make between $10 and $21 an hour. Many suburban fire departments are supported by emergency service districts, a taxing entity. The districts, however, are limited in how much property tax they can collect. They’re capped at 10 cents per $100 per assessed value. Fire departments that are entirely run by volunteers, and not under an emergency service district, rely on donations and a funding from the county. The Fresno Volunteer Fire Department in Fort Bend County, for example, receives about $80,000 a year from the county and the rest of its $100,000 budget is gathered through fundraisers and donations, said Fire Chief Paul Hamilton. Last weekend, a Fresno homeowner lost his home because volunteer firefighters never responded to the early morning fire. The Missouri City Fire Department was eventually dispatched but firefighters arrived too late to save the home. “We’re talking about some changes to try to prevent this from happening, but until we have an ESD so we can have paid firefighters, we’re at the mercy of volunteers,” said Hamilton, who was out of the district when the fire broke out. Persuading residents to approve establishing a taxing district would be difficult because they already feel they’re overtaxed, he said. I don’t even know what to say to that. I guess this is one of many reasons why I prefer city life to unincorporated suburban life. I like knowing that if my house ever catches fire, it’s somebody’s job to come as quickly as possible to put it out. It’s going to be a lot harder for anyone to claim with a straight face that the state of Texas has never executed an innocent man. Key testimony that sent a Corsicana auto mechanic to the execution chamber for setting a house fire that killed three young children was based on faulty investigations that ignored eyewitness reports and failed to follow accepted scientific procedures, an expert review of the case concludes. While the 51-page report by nationally known fire scientist Craig Beyler stops short of charging that Cameron Willingham wrongfully was sent to his death, it dismisses as slipshod the investigations by Deputy State Fire Marshal Manuel Vasquez and Corsicana Assistant Fire Chief Douglas Fogg. Willingham maintained his innocence until his execution in 2004. “The only statement I want to make is that I am an innocent man — convicted of a crime I did not commit,” Willingham said from the death house gurney. The men’s investigations into the December 1991 blaze at Willingham’s residence failed to meet current standards of the National Fire Prevention Association or even standards that were in place at the time of the fire, Beyler wrote. Beyler performed the review for Baltimore-based Hughes Associates Inc., a global fire protection engineering firm commissioned last year by the Texas Forensic Science Commission. The commission was created by the Legislature in response to the Houston Crime Lab scandal and other irregularities at state forensic labs. Commission Chairman Sam Bassett, an Austin lawyer, said the panel will interview Beyler at its Oct. 2 meeting in Irving. Bassett said the commission will seek a response from the state fire marshal’s office. Vasquez died in 1994. For more background on the Willingham case and other questionable arson cases in Texas, see here, here, and here. The Chicago Tribune, whose 2004 article on Willingham got the ball rolling on all this, has their own story, which contains this ending that may prove to be sadly prophetic. Contacted Monday, one of Willingham’s cousins said she was pleased with the report but was skeptical that state officials would acknowledge Willingham’s innocence. There is enough wiggle room to do that, if you’ve got a Sharon Keller/Antonin Scalia view of what “innocence” is. As encouraging as it was to see the state do the right thing in the Timothy Cole case, this is a step I’m not sure the powers that be are ready to take. I’ll be happy to be proven wrong about that. Grits and The Contrarian have more. It’s hard out there on a fireworks vendor. As July 4 approaches, Michael Girdley is praying for rain. The president of Alamo Fireworks, based in China Grove, is worried a summer drought could lead to a fireworks ban in Harris County, one of Girdley’s biggest markets. “It’s our worst nightmare. We used to be able to survive because you used to count on opening each year. Now you can’t count on anything in Texas,” he grumbled. Girdley is part of a growing chorus of fireworks vendors in Texas complaining about what they call arbitrary restrictions on their business. A 2007 revision to state law allows counties to ban sales of certain fireworks if the Keetch-Byram Drought Index indicates drought conditions. Counties must adopt that order before June 15 to prohibit certain fireworks for the July 4 fireworks season. While the drought index was supposed to simplify the decision, vendors complain that fireworks can ultimately be permitted in one county, but banned in the neighboring one. And, regardless of the drought index, county judges can prohibit firework sales outright at any time by issuing a disaster declaration. Texas’ patchwork system has left fireworks vendors in a wait-and-see stance as the calendar creeps closer to their most profitable holiday. “If we can’t sell our product then, we can’t feed our families,” said Chester Davis, president of the Texas Pyrotechnic Association. I feel for you, I do. Times are tough all over. But having said that, I’m one of those crazy people who thinks that there should be restrictions on fireworks sales, and that some of what is sold to the public should really only be sold to professionals. So while I’m sympathetic to the vendors and the frustration they must feel at dealing with new regulations, I’m on the county officials’ side. I agree with this. Harris County Judge Ed Emmett imposed a ban on the sale and use of some fireworks this afternoon as vendors prepare to open sales for the July 4th holiday. Emmett issued a county disaster, which allowed him to forbid the sale and use of stick rockets and missiles with fins within Harris County. “Public safety is my top priority in this matter, and this declaration is absolutely necessary to ensure that Harris County residents remain as safe as possible in these weather conditions,” Emmett said in a statement. Responsible vendors should be willing to pull certain aerial fireworks off shelves if it gets hot and dry, but shouldn’t be pushed around by authorities, said Paul Dewey Jones, who sells fireworks . While Montgomery County will only restrict a few types of fireworks, he’s worried that customers will assume everything is banned. “I don’t like the idea of government getting into our business unless there’s a very good reason,” he said. Government officials point to statistics to make the case that fireworks should be carefully regulated: Between 2000 and 2007, there were 259 reported fireworks mishaps in Harris County, causing more than $2 million in damage. That sounds like a very good reason to me. According to this version of the story, Montgomery County had 80 fireworks-related fires last year. And as with any industry, if all the vendors were responsible there would be no need for regulation, but they’re not and so there is. We’re just arguing about what the right amount is. What we’ve got now is fine by me. The massive fire last week that destroyed the warehouse at Gallery Furniture’s main location on the North Freeway was intentionally set, an official said today. Rob Elder, assistant special agent in charge of the Bureau of Alcohol, Tobacco and Firearms office in Houston, said the agency determined the fire was arson because all possible accidental causes had been ruled out, including a faulty generator that was initially suspected. “Someone out there knows what happened that night, and we’re going to find them,” Elder said in a news conference today. No one has been ruled out as a suspect, said Elder, who declined to reveal details as to how investigators think the blaze began. I did not see that coming. I hope they figure it all out. Like most people in Houston, I was shocked and saddened to hear about this. As flames ripped through one of Houston’s most notable retail icons Thursday night, Gallery Furniture founder Jim McIngvale vowed to rebuild. But McIngvale, who earned fame with his colorful commercials and self-imposed moniker of Mattress Mack, acknowledged “millions and millions” in dollars of merchandise had been damaged in his flagship store’s warehouse. This morning he was at his other location at 2411 Post Oak Blvd., which opened earlier this year, preparing to start selling furniture again. True to form, shortly after dawn he was filming a commercial to remind customers of the new Galleria-area location. McIngvale said it wasn’t clear when he could get back into the original location, much less reopen it. In the meantime, he said the store is scouting locations for warehouse space to house several truckloads of furniture on its way. Mack and Gallery Furniture are Houston icons, and if anyone can come back from this, they can. My best wishes to them as they rebuild.